Praia do Camburo, Vitoria ES. I sailed into this city when I was a client rep. and I thought it was beautiful. This place is not beautiful tourist but a real city, with real people who have been blessed with a beautiful coastline and port. There is a massive bridge that connects the mainland with the island. As well and rather ominous was this prison that one sees while sailing into Vitoria. The city is fun with as always great people who live in Brasil. The night lights especially along the coast are nice too. Great beach. ES, tem lindo lugares lindo, praia montanha, tudo muito o próximo e custo x benefício, passear sem gastar muito. 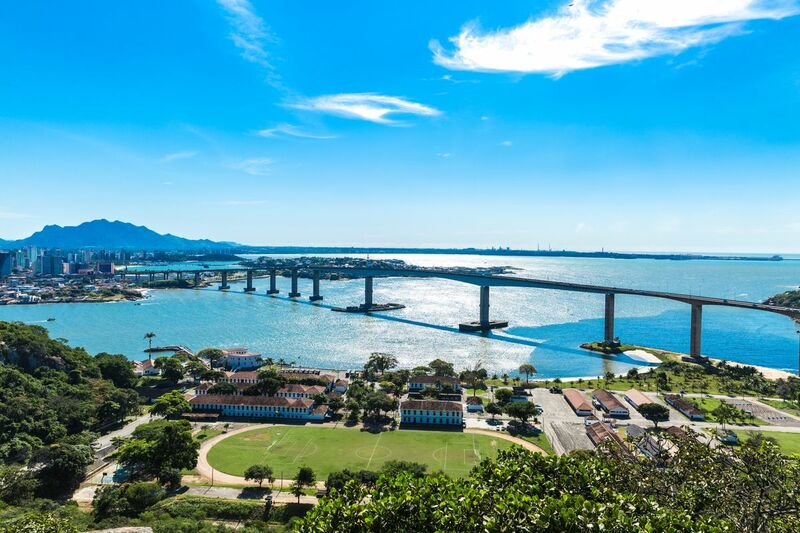 amei vila velha Vitória praia da ilha do boi e coqueiral de Itaparica tudo de bom.